Garden City, KS �?? 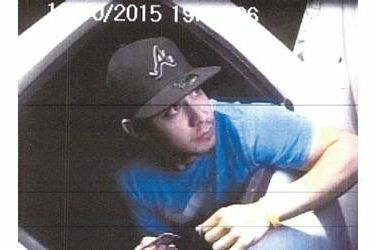 Police are asking for public assistance in locating or identifying a man who is a suspect in a financial crime case. Police believe the suspect may have used a stolen credit card to withdraw funds from a victim beginning in May of 2015. If anyone has information relating to this incident or can identify the man in the photo they are asked to call Garden City Police (620) 276-1300 or Crime Stoppers (620) 275-7807.